Strong, blokey sound. Funny, direct & intelligent. Well respected. The real Andy Kershaw! Currently regular roving reporter for BBC1's The One Show (7 million viewers per night). Winner of more Gold Sony Radio Awards than any other broadcaster & Andy was described by Stephen Fry as "the finest British Broadcaster bar none." Famous for introducing his listeners to world music through his BBC radio shows. A journalist at heart, he's often reinvented himself as a foreign correspondent for BBC radio news. He co-presented Live Aid & joined Radio 1 with his own show & a free choice of music in 1985. He moved to Radio 3 in 2001. An Honourary Doctor of Music, a Channel 4 & Radio 4 documentary maker. His autobiography "No Off Switch" was published in July 2011 & praised by Michael Palin, Pete Townshend, Stephen Fry, Dame Ann Leslie & Alan Bennett. Grew up in Rochdale, Lancashire & has a strong regional accent. Radio 4: Travel Documentaries (Radio, Current (since '89)) Presenter. 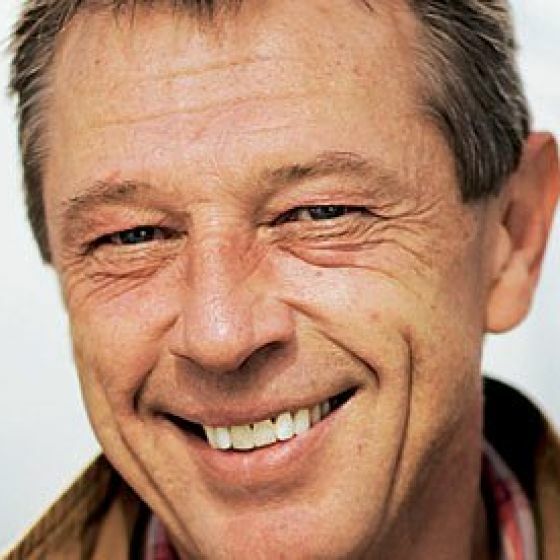 Radio 3: Andy Kershaw (Radio, Current (since '01) Host. Radio 4: Today Programme (Radio, 2016) Regular reporter. The One Show (TV, 2012-current) Regular roving reporter. BBC. Music Planet (Radio, 2011) Presenter. Flagship music series on Radio 3. The Wright Stuff (TV, 2011) Himself. Ch5. Desert Island Discs (Radio, 2007) Guest. Radio 4. Radio 3: Numerous travel documentaries (Radio, 2006 (since '88)) Creator. Presenting from remote & politically striken areas. Pick of The Week (Radio, 2004 (since '87)) Regular guest. Radio 4. Andy Kershaw in The Axis of Evil (Radio, 2003 (since '01)) Travel docs for Radio 3 in Iraq, Iran & North Korea. Gold Sony Radio Award: Carribean Evening (Award, 2002) Host. Radio 3. 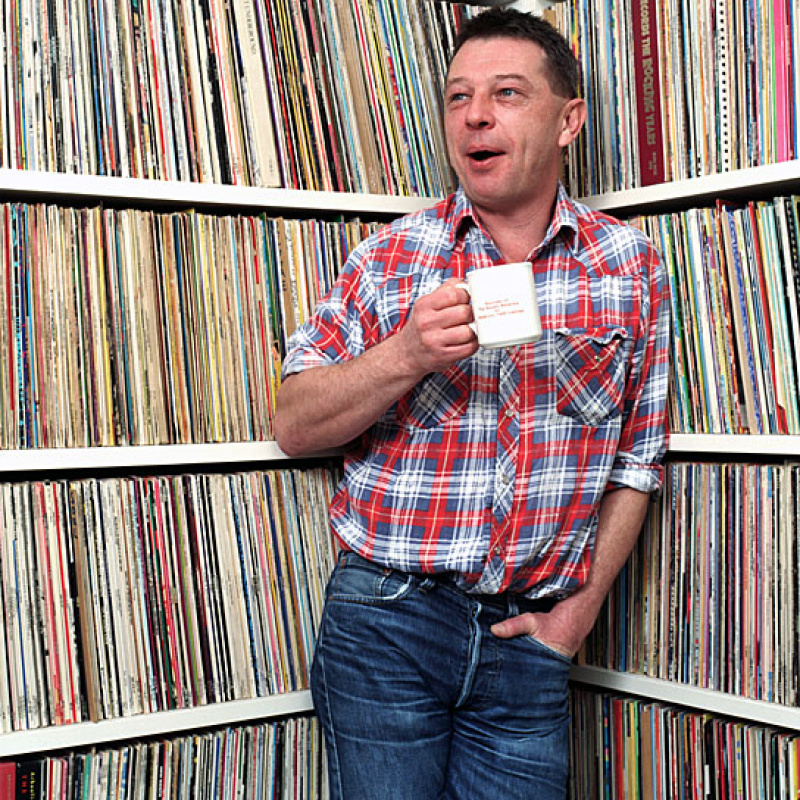 Radio 1: Andy Kershaw (Radio, 2000 (since '85)) Host. Gold Sony Radio Award: Andy in South Africa - The Rainbow Nation (Award, 1996) Broadcaster. Radio 1. Travelog Series (TV, 1990's) Travel doc series for Channel 4. One episode was the first film ever made inside North Korea. Gold Sony Radio Award: Andy & Biggie in Zimbabwe (Award, 1989) Broadcaster. Radio 1. Gold Sony Radio Award: Radio 1 - Andy Kershaw (Award, 1989) Presenter. Radio 1. Gold Sony Radio Award: Radio 1 - Andy Kershaw (Award, 1987) Presenter. Radio 1.